2. In an ovenproof pot, heat butter and honey over medium heat until melted. 3. 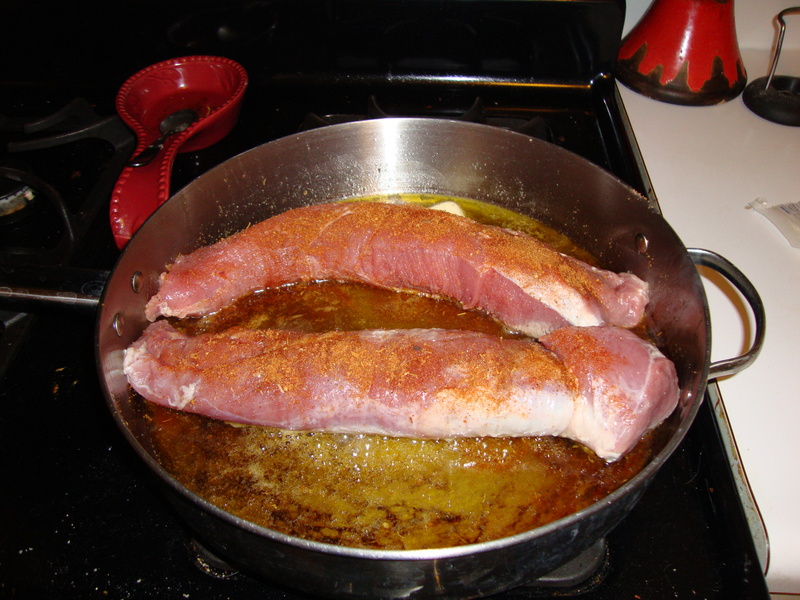 Sprinkle pork tenderloin with Cajun seasoning and black pepper. 6. 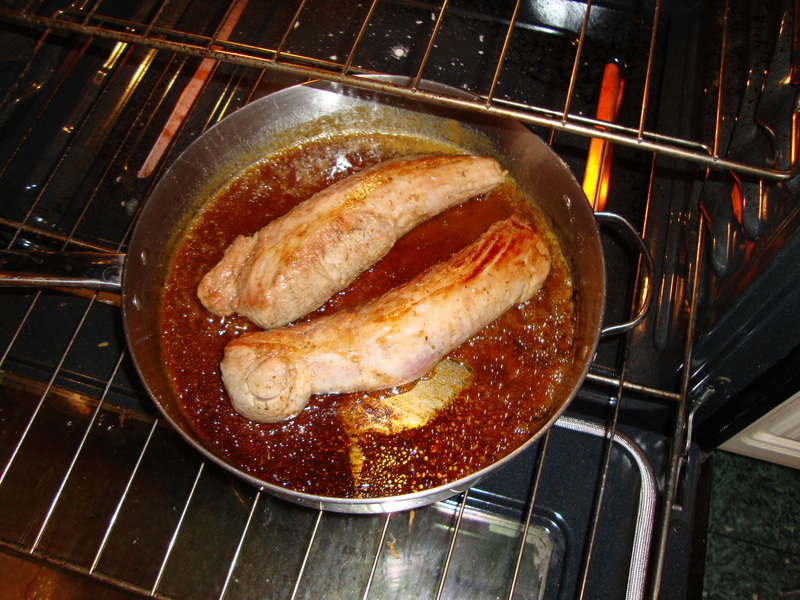 Remove pot from oven and transfer the pork to a plate. Cover with foil. 7. Add water to the pot and stir over medium heat. Simmer for about 5 minutes, until sauce is reduced slightly. 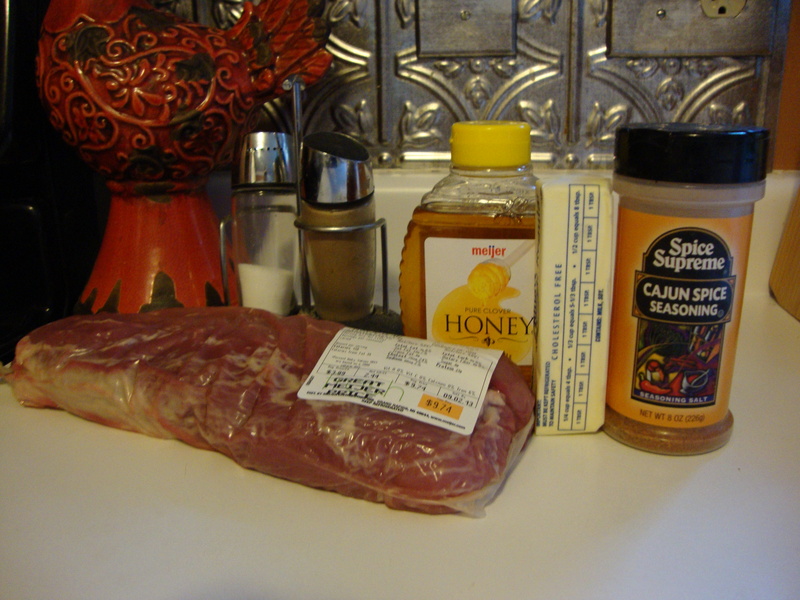 8.Slice pork on the diagonal and drizzle sauce over top to serve. 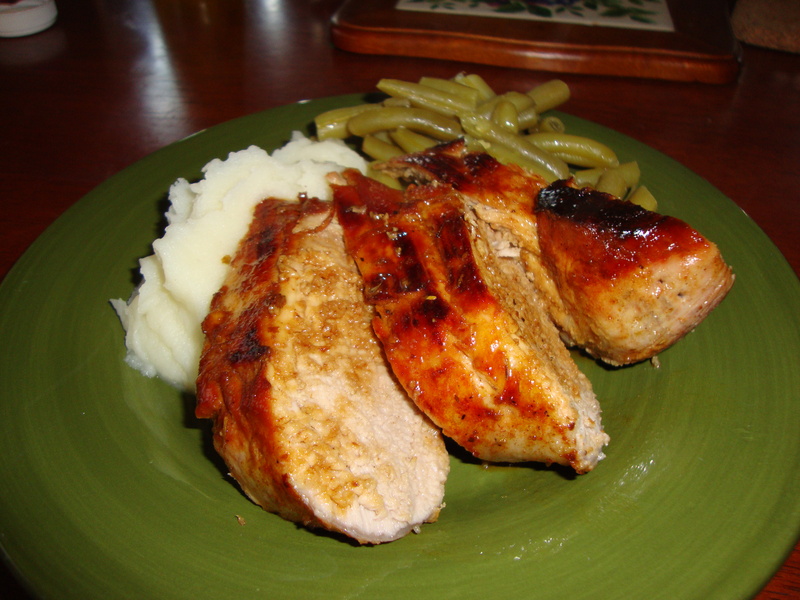 I added mashed potatos and green beans to finish the plate. SO good! The next day I used the leftover pork for lunch. 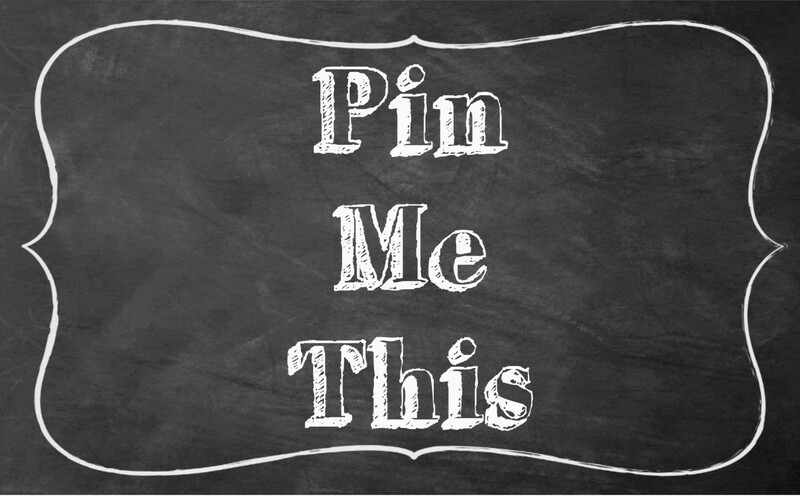 Stay tuned for that easy and yummy lunch!